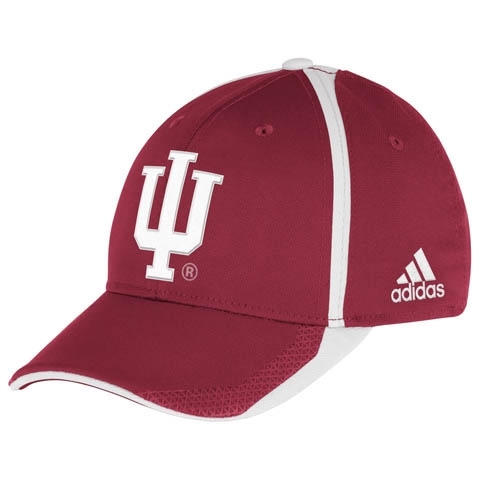 This cap is the Official Sideline hat...just like what is worn by your favorite Hoosiers on field. Crimson hat with white accents, including a raised embroidered IU logo. Bonded overlay visor with cut and sew crown help to make this a perfectly fitting cap. There is a sublimated pattern running along the back of the hat with bonded 3-Stripe branding and a woven Indiana Hoosiers wordmark sewn on back edge. CLIMALITE sweatband lines the inside rim. One combined size L/XL available. 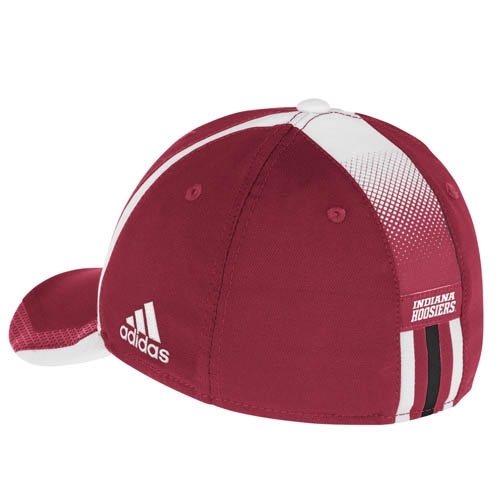 The ADIDAS trademark logo is also embroidered on the side of the cap.